Vento comes in 5 versions (three petrol and diesel cars) with 2 engine and 2 transmission options. It is a perfect combination of comfort, style and luxury. The interior and the exterior are contemporary and classy. It is currently competing with Honda city, Maruti SX4 and Ford Fiesta in Indian market. It has some special features which is better than its competitors. The Company’s (Maharashtra) Chakan plant manufacturing the engines of it. Vento v/s Honda City – Honda City has some positive points which are making it to stand against its rival. It is equipped with a 1.5L, 4 cylinders new generation i-VTEC engine that delivers class leading power of 118PS. People will feel fun while riding it. It has Stunning looks, Space and great comfort with Powerful engine. The only negative point of Honda City, they have not introduced Diesel version. The Company has taken some advanced safety measures for its customers. It has ABS (Anti-Lock Braking System) with Brake Assist (BA), Dual SRS airbags and seat belts. The exterior look of it is so stylish with its new Chrome door handles; new Sporty Exhaust Finisher and Front & Rear mud guards. The interior look of the car makes you to feel that you are sitting in the home. The quality of fabric seats is good with beige tone; power windows panel Silver Colored Fan Knob, silver color inner door handles and door lining garnish adds the beauty for its interior. Both the cars need at least 5-8 thousand per year for maintenance, when it comes to fuel efficiency both the cars will give mileage of 16-17 kmpl. 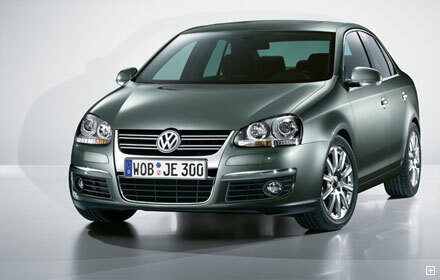 Volkswagen Vento comes in both petrol and diesel versions where as Honda City does not have diesel version. When it comes to safety both the cars have similar safety measures apart from this every this is similar. So, it’s up to you to decide which is best. This entry was posted on January 9, 2011, 11:52 pm and is filed under Volks Wagen. You can follow any responses to this entry through RSS 2.0. You can leave a response, or trackback from your own site.